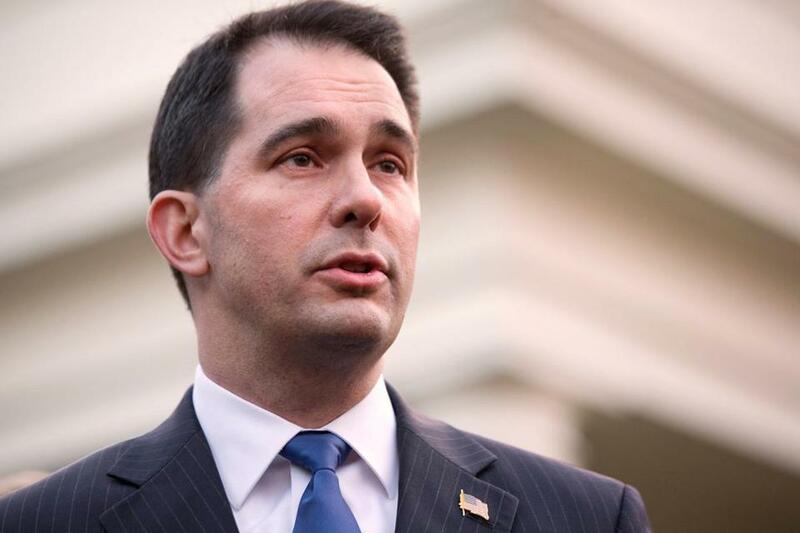 One of the filings from prosecutors outlines previously unknown details about the investigation that began in 2012 as Scott Walker was facing a recall election. CHICAGO — Prosecutors in Wisconsin assert that Governor Scott Walker placed himself in the middle of an elaborate effort to illegally coordinate fund-raising between his campaign and numerous conservative groups during efforts to recall him two years ago, according to records of their investigation unsealed Thursday. The allegations by five county district attorneys, released as part of a federal lawsuit over the investigation into Walker, his aides, and the conservative groups, suggest that Walker’s campaign expressly coordinated with the outside groups, including Wisconsin Club for Growth, to the point that campaign advisers also controlled some of the groups. Legal filings by the prosecutors provided a rare view of the inner workings of a far-flung network of conservative nonprofits that have come to play a decisive role in national and state elections, moving hundreds of millions of dollars into campaigns by avoiding traditional political action committees that face tougher disclosure requirements. Some of the groups, in Wisconsin and elsewhere, appear to serve as little more than conduits for funneling money from donors around the country to an array of allied organizations with ties to specific constituencies, such as gun owners or opponents of abortion. Prosecutors allege that the groups in Wisconsin coordinated closely with allies of Walker, a Republican, both in the state and in Washington, with Walker’s campaign consultants simultaneously advising him on political strategy and television advertising while raising money and directing the activities of an array of outside groups. “That coordination included a nationwide effort to raise undisclosed funds for an organization which then funded the activities of other organizations supporting or opposing candidates subject to recall,” the prosecutors wrote. Walker’s campaign issued a statement Thursday.